Republican Sen. Frank Artiles tried to say his use of the word was actually “niggas” and explained that's the way people speak in Hialeah, the city near Miami where he grew up. Even as he apologized on the Senate floor Wednesday, he said that his intention in using it was benign. “I grew up in a diverse community. We share each other's customs, cultures and vernacular," says Artiles, who is Cuban-American. The excuse drew outrage from Senate Democratic Leader Oscar Braynon, whose district borders Hialeah. And it doesn't matter how the word ends, Braynon said. Republican Sen. Rene Garcia, who represents Hialeah, also took offense. “My constituents and I would agree that this language is simply unacceptable. 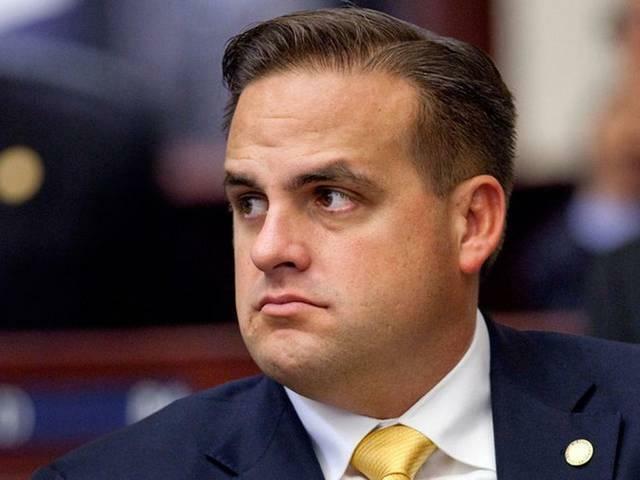 Sen. Artiles owes the residents of Hialeah an apology for unfairly associating them with this kind of behavior,” he said in a written statement. It wasn't the only offensive terms he used during Monday night's conversation — all of which Democratic Sen. Perry Thurston spelled out in his complaint. Thurston said Artiles used multiple obscenities to describe Sen. Audrey Gibson, including one particularly offensive to women. And he referred to Senate President Joe Negron with a vulgarity. Thurston, as well as several others at the club, witnessed the exchange. Artiles said during his apology that his use of the “n-word,” wasn't directed at anyone in particular. That, however, isn't the point, multiple lawmakers said. “Racial slurs and profane, sexist insults have no place in conversation between Senators and will not be tolerated,” Negron said in a statement released by his office. The Florida Legislative Black Caucus voted unanimously to file a complaint against Artiles, saying his actions violated Senate rules. They're calling for him to be removed from office. While Republicans didn't immediately join Democratic colleagues in calling for Artiles' to step down, they took steps to show they're taking the situation seriously. Senate Rules Committee Chairwoman Lizbeth Benacquisto immediately determined the Black Caucus complaint likely has merit and Negron assigned a lawyer to review the case. A recommendation will be made to the Rules Committee by Tuesday and the chamber can punish him, including expulsion. 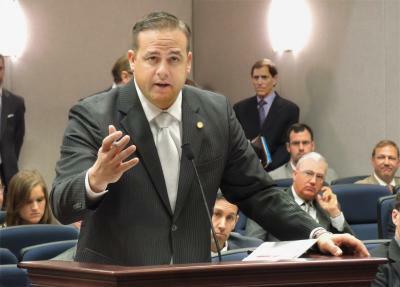 Artiles said on the Senate floor that he was particularly sorry for the words he hurled at Gibson, of Jacksonville, because they were personal. Gibson, who sits two rows in front of Artiles, didn't turn to look at him. Artiles seemed less contrite speaking to reporters after his apology. He added that other senators have had “heated debates” and “yet nobody's asking for their resignation.” Artiles said he not only won't step down, but he's planning to run for re-election next year and suggested that Democrats are making an issue of his remarks because they're targeting his seat. Braynon said that's not the case. “That's absolutely hilarious — that we made this happen to him, that we did this to him. If we actually think about it politically, we want him to stay till 2018 and hang this around his neck,” Braynon said. “This is not politically motivated. This is about human beings. This is about respect for this body. This is about respect as a Legislature.